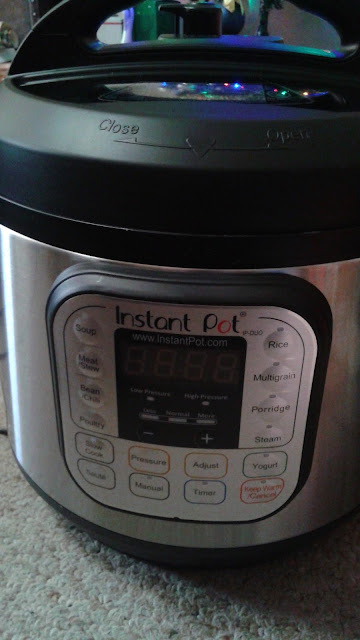 I got a 6 quart Instant Pot for Christmas from my husband. I have been playing with it for the last few weeks and I ordered this cookbook to help me do some new menu items. This book is full of delicious recipes. 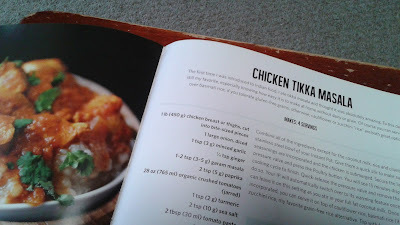 There is also a photo for every recipe and the dishes are beautifully photographed. You can check out more from Jennifer Robins at her blog called Predominantly Paleo. So far I have done a pot roast and veggies, Chicken Tikka Masala, Zesty Citrus Pulled Chicken, and Honey Balsamic Pork Chops. 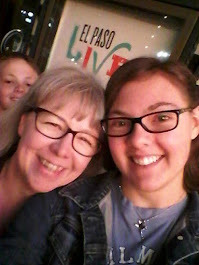 They were all hits with my family! I have made each meal in less than 30 minutes except for the pot roast which was not much over that. They were all full of great flavor, too. I have only done meat dishes so far but plan to branch out and try soups, yogurt and some of the breakfast and dessert recipes she shares. 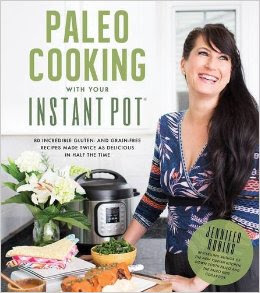 If you have an Instant Pot I highly recommend this cookbook. It was just released early this month so it is brand new and available through lots of booksellers right now. It is also super affordable! 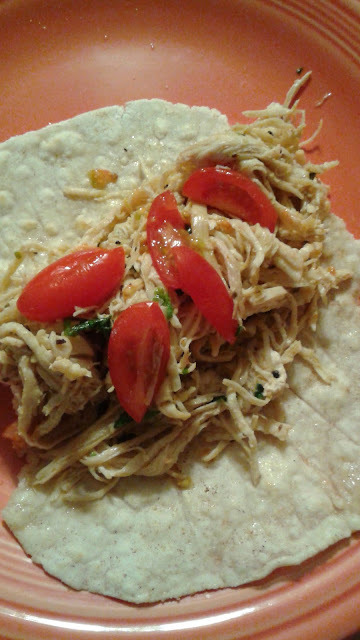 I served it on one of my homemade GF tortillas. paleo comfort food at it's finest. Just curious - when you say 30 minutes or less, is that start to finish time, or is that the time under pressure, and heating up time plus pressure release time is not included? I ask because in the reviews I've read, people complain about the long time to come to pressure, and the long time to relieve pressure if it is done naturally (not via quick release). Most of the recipes are 30 minutes start to finish that I have done. The pressure time is 15 minutes for most of the meat stuff unless it is large like a pot roast. It takes about 10 minutes for it to come up to pressure most of the time but the release is quick even when I don't do the instant release. It is certainly faster than the slow cooker or regular cooking times for meats and veggies. I have not done a lot of grains yet but according to the book it is usually just a few minutes to cook most grains.